Building Homes For LIFE - your home, your life. We've been the green building leaders for over a decade and have built more than 4,000 homes. All New Tradition Homes are ENERGY STAR® and Built Green® Certified to give you higher value, more savings and peace of mind! 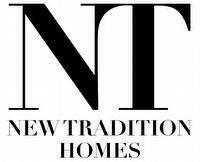 New Tradition Homes has been the Northwest’s leader in green building practices for over a decade. Innovative development, enduring design, lasting value, and cost savings for your family. From the very beginning, we have been dedicated to personalized service and customer satisfaction. We recognize the flexibility needed to meet the ever-changing needs of our homebuyers. Our in-house design team is continually updating floor plans to make sure that our homes represent the best in new home design. We also offer personalization and customization on every home that we build. New Tradition Homes has become the regional leader in developing innovative and energy-efficient construction technologies. Through on-going research and dedication we continue to build homes that are healthier, more durable and more efficient than standard new homes. Every New Tradition Homes is Energy Star and Built-Green certified. This certification means that every home is third-party verified to meet our high standards. Our ongoing commitment is to provide homebuyers beautiful, better-built homes at an affordable price. We’ve built a lot of homes and communities over the years, but we have not forgotten our roots – One family’s dedication to help other families build new traditions in a new home. We stand behind our homes and our communities and the high quality, enduring design and lasting value that they demonstrate. Your inquiry has been sent to New Tradition Homes. Get homebuying answers from New Tradition Homes.